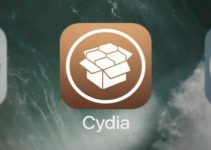 Cydia Eraser is an essential utility for all jailbreakers but is yet to receive an update on newer firmware. Here’s a small fix that you can use to make it compatible with iOS 10.3 firmware. Why doesn’t Cydia Eraser support iOS 10.3? As you know, Saurik hasn’t been active in the jailbreak scene of late. Since he is the only developer of Cydia Eraser, a proper release has been delayed. 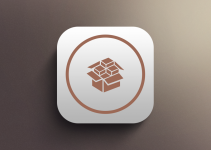 Cydia Eraser will definitely receive an update in the future, that’s for sure. But you must keep in mind that there’s no official ETA yet. With that said, you can still use Cydia Eraser by applying a few simple “hacks”. All you need to do is rename a couple of files using a file manager and you are all set. You can use this trick with any jailbreak tool that currently supports iOS 10.3 firmware like g0blin or doubleh3lix. This method was discovered by Sticktron and arinc9. Before you move onto the tutorial, ensure that you have functional file manager such as Filza installed on your device. You can use the exact same fix for other apps that don’t work on iOS 10.3.x such as CocoaTop, BytaFont 3, CrashReporter, etc. This method only works with jailbreak apps, not jailbreak tweaks. 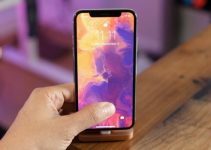 Here’s how you can get BytaFont to work on your device. You can repeat this process for other apps as well except for GameGem, which has a different location and file names. Were you able to get Cydia Eraser working on your device? Leave your comments below. For more jailbreak tips and tricks, like us on Facebook and Twitter. Log out of your Apple ID account and then try signing again. Follow the instruction, but it doesn’t work on iPad Pro 10.5 iOS 10.3.2. meridian pb6. 1. Download the Cydia Eraser 0.9.43 deb from saurik. 2. Extract it to Eraser.app, upload it to /Application, and uicache. 4. Reboot the device and re-jailbreak by using meridian pb6. 1. Go to Applications > Eraser.app and delete “Eraser_”. 1. Yes, I do the jailbreak work with meridian pb6. But it’s strange that, even when I log in with root, I can’t run the command uicache directly. I get the Error: “Killed: 9”. And I find that uicache is located both in /bin/uicache and /usr/bin/uicache, and the default uicache command(which is not working for me) is /usr/bin/uicache in fact. But If I run /bin/uicache, it succeds. The Eraser icon shows in the desktop. I don’t know if this means I haven’t done jailbreak successfully. But I did it in ssh or winscp, becuase I can’t install Filza. Does it matter? I keep getting eraser.cpp:1263 error, and cannot for the life of me find a workaround. Any ideas or directions? Go to /etc/hosts in Filza and rename hosts to hosts.old and try again. Worked on iPhone se 10.3.2 with double helix. Successful back to stock.